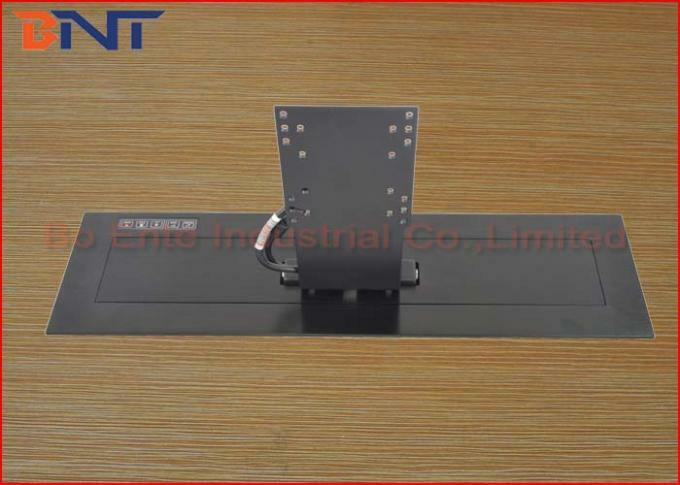 Desktop Monitor Motorized Lift is hidden design for audio video conference system equipment which could make monitor hidden under the table and pop up into the desktop if would like to use for presentation during meeting. 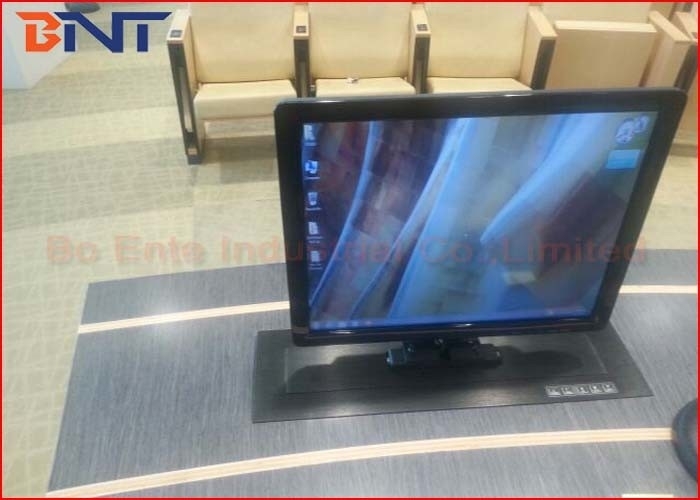 The LCD/LED monitor could arising up to the tabletop if user would to present information by wireless controller. The LCD/LED monitor could coming down into the table downside if finished meeting. 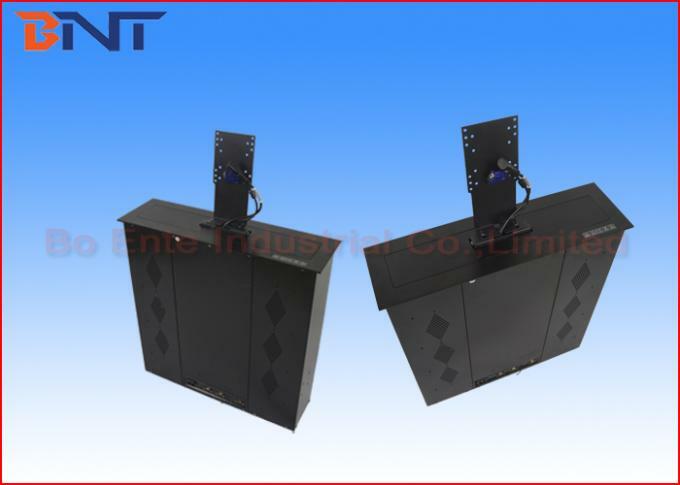 The product adopts synchronous orbit lifting principle. It runs smoothly, quietly, and provided with the protection function for LCD monitors by cutting the power off automatically. The machine is controlled by three motors: one controls the angle adjustment of the monitor. The panel switch adopts the durable and excellent material’s nice-looking film switch. 1, Working smoothly and quietly during operation. Low noise which less than 30db. 4, Complicated with AMX/Crestron or other central controller via RS232 port. 2, Provide English button and product identify, Arabic language marking is available. 4, Equipped with VGA or HDMI, RS232 data interfaces for convenient data access. 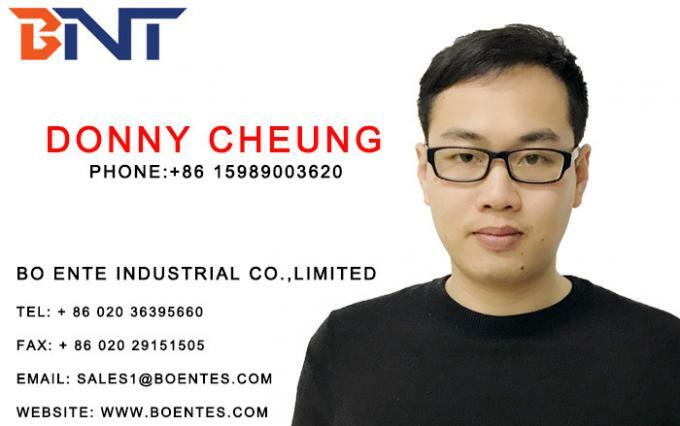 6, Provide professional user’s manual and cable connection layout for installation.